When California passed its Global Warming Solutions Act in 2006, it represented a turning point in the debate over clean energy and global warming. For once, it seemed, economic innovation and environmental stewardship triumphed over Big Oil and corporate greed. Today, however, those same oil giants are fighting round two by bankrolling the "Yes on 23" campaign in favor of a proposition repealing the Global Warming Solutions Act (AB 32). Not surprisingly, a new "Yes on 23" television ad is full of falsehoods, misrepresentations, and lies. Proposition 23's Passage Would Hurt California's Economy & Destroy 626,000 Jobs. 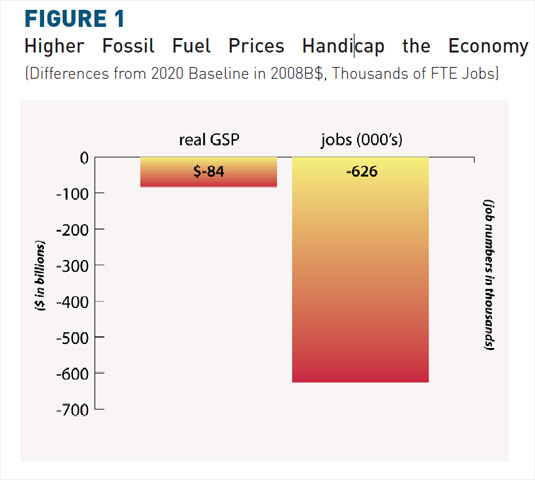 According to Next 10, a California-based think tank, failing to implement greenhouse gas policies will lead to increases in fossil fuel prices that will lower GSP by over $80 billion and offer 626,000 fewer jobs. The current recession and the very high unemployment rate in California present daunting challenges. Some have argued that these economic conditions warrant suspending the implementation of emission reduction policies. We disagree. Delaying action now and waiting for the future before initiating accelerated action to reduce global warming gases will be more costly than initiating action now. Acting now is more likely to limit further environmental degradation, lower the cost of mitigation, and spur innovation in renewable energy and conservation technologies.